- no matter what dad says! Our sizings are generous, and will fit almost all. If however you require a special size please contact us and we will try to help you. 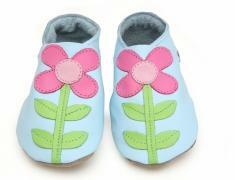 Shoe sizes are in UK and European sizes, please note that USA sizes are different! it�s easier than putting feet on the screen!! 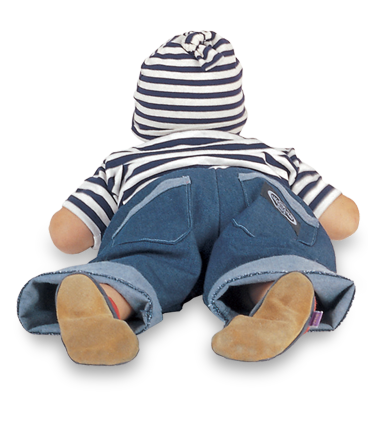 We use a very soft high quality leather produced in partnership with traditional Italian tanneries in colours exclusively for Starchild. Our leather contains no harmful chemicals or dyes and conforms to European safety and product standards. Italian leather means European herds and high standards of animal husbandry, no destruction of rain forest for grazing, and also no air miles ! Leather is a sustainable renewable resource with a natural look and feel. To minimise impact our packaging is all recyclable either paper/card boxes or clear PVC bags. Proudly designed and handmade in our own small factory in England since 2000. Personal friendly service, and the choice of our unique designs will cheer up the dullest of days. Attention to detail is a must and for a handmade product we are fantastically priced. 48Hr despatch for internet orders, wholesale orders are a little longer. FREE display stand, FREE delivery and FREE point of sale material are available, call or e-mail for details. Sizes go from newborn to 5 years and recently we have added by popular demand junior sizes upto 10 years. 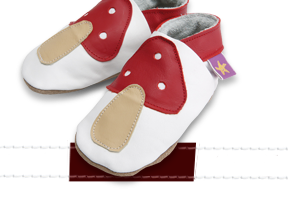 Don't forget we also make our range of Adult version shoes - Now the whole family can wear Starchild!